An Air Force QF-4 unmanned drone has crashed at Tyndall Air Force Base in Florida, the second drone crash to occur there in the last week. Nobody was injured but the status of its onboard explosive device is currently "unknown." That's reassuring. The crash occurred during takeoff around 8:30 this morning. It forced the closure of Highway 98, but not because the highway was damaged. Officials have said that the highway may remain closed for up to 24 hours because of fires caused by the crash. The QF-4 also carries an explosive device on board that can be activated when the plane is in a precarious position and might cause harm to others. The status of that device is currently unknown, but it does discharge within 24 hours. After that time it can't explode. Another QF-4 from Tyndall went down over the Gulf of Mexico last week. The Air Force detonated its on-board explosive device because they had no choice. It sounds like the drone had developed problems that would keep it from returning to Tyndall safely. The QF-4 is not like the surveillance drones that you see on the news. 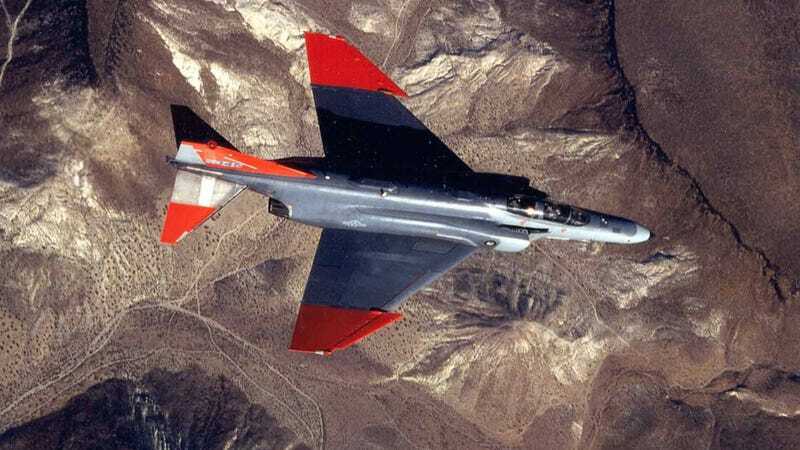 This is essentially a McDonnell Douglas F-4 Phantom that is used as a moving target to test weapons. It looks much more like a fighter jet than a top secret surveillance craft. We'll follow along for more updates.